This absolutely stunning dress was custom made by the amazingly talented Steven Khalil. Worn only once in 2017 and fully dry cleaned and boxed, this beauty is ready to move on to the next beautiful bride to feel as beautiful and amazing as I did on my big day. The detail on this dress and the fit is beyind amazing, it exceeded every dream I had of my dress. It is detailed with Ellie Saab lace throughout the entire gown. From the very top to the end of the ever so long (3m) train. The stunnung veil is included. (Retail price $1000. 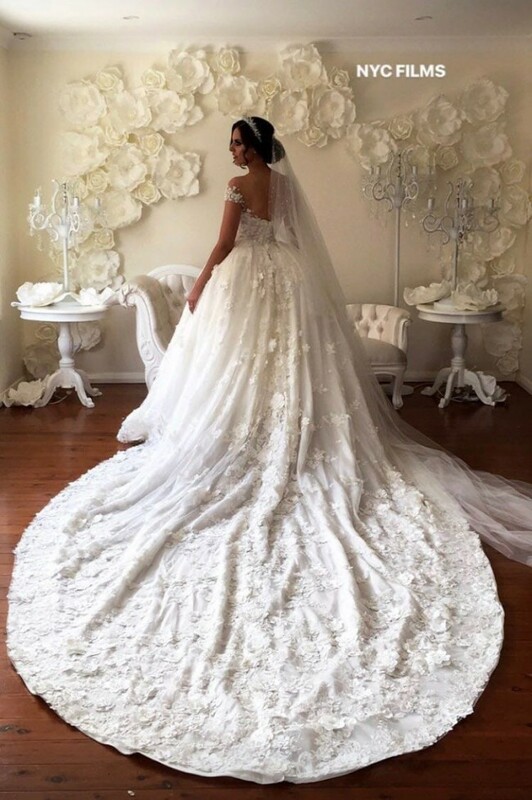 The veil follows the dress right through the end and is detailed with beautiful pearls. Try ons are welcome. Renting options will not be accepted.